WhatsApp is continuously adding new features, we have seen an addition of Stickers, ads coming to the platform and now the company may soon roll out the long-awaited WhatsApp Dark Mode feature for its users. The feature is said to be in the works for months and is now expected to launch later this month or early next year. Dark Mode, as the name suggests, reverses the white background to black which is more comforting to eyes. The mode also helps increase battery life on smartphones. Even Google has admitted that the Dark Mode, contrary to its white-themed Material Design, draws about 43% lesser power at full brightness compared to “normal mode”. Some of the popular Google applications such as YouTube and Google Maps already support dark mode. It is also a key feature in Google’s latest Android iteration, Android Pie. As far as Dark Mode on WhatsApp goes, the feature was first spotted in September this year. Though there’s no visual representation of WhatsApp’s Dark Mode yet, it’s believed to be very similar to WhatsApp’s UI on Windows Phone smartphones. According to a recent tweet by Wabetainfo, a website that regularly monitors the latest updates to the platform, Dark Mode is still under development. 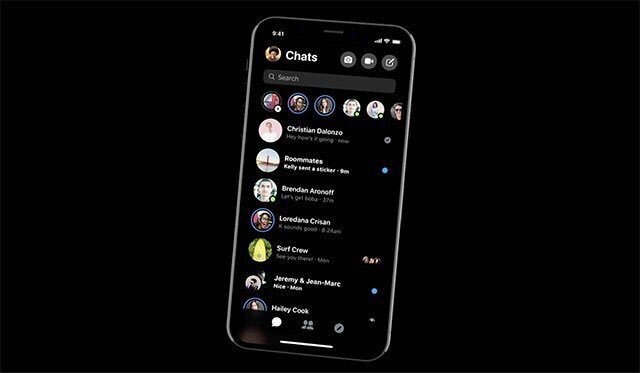 Facebook is also planning to launch a Dark Mode on its Messenger, the second most popular messaging application after WhatsApp.? You can currently use a few third-party applications to enable Dark Mode-like theme. There’s another workaround to have Dark Mode-like look and feel to your WhatsApp chats. Note that the workaround does not fully replicate Dark Mode experience. 1. Launch WhatsApp on your smartphone. 4. Scroll down to Wallpaper and select a solid colour option. 5. Choose any of the dark colours for your chat background. 6. Tap on set, and exit the Settings.